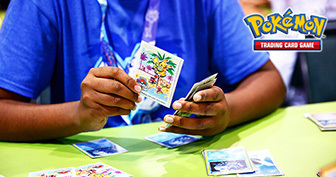 With the North America International Championships behind us, many Pokémon TCG players are now looking ahead to the 2019 season format rotation. Six expansions, including XY—BREAKthrough to XY—Evolutions and the special Generations expansion, are departing the Standard format this year. Expect to see some dramatic changes to deck construction after the rotation, despite the impact made by some of the cards from the Sun & Moon Series. With full archetypes like Greninja BREAK leaving the format, and the departure of key Trainer cards like Brigette, Float Stone, Max Elixir, and Puzzle of Time, players will have to rethink the way they construct decks and reassess the value of many of the cards currently available. So let's look at some of the biggest movers and shakers as we go into the 2019 Championship Series season. Mastering the new format quickly is crucial to starting out your season strong, so read on for some tips about which cards are trending up and which to avoid. Keep an eye on the cards below as the 2019 season begins. You're likely to see more of these cards in the exciting matches at the first tournaments' top tables. The Pokémon who is set to benefit most from the rotation might be Malamar. It was already one of the strongest support Pokémon in the 2018 Standard format, and many of its greatest threats will disappear in 2019. 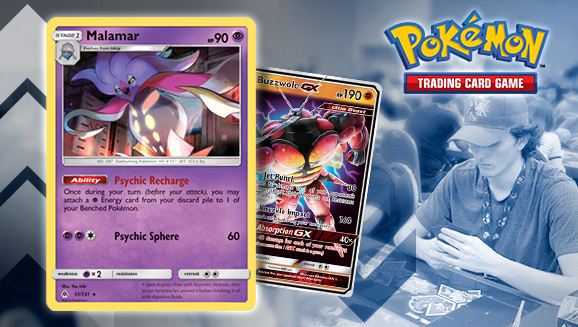 Garbodor's Garbotoxin Ability and Greninja's Shadow Stitching attack will no longer be around to stop Malamar's Psychic Recharge Ability, and Parallel City, which shrinks the Bench to limit Malamar's options, will also be out of the picture. Perhaps best of all for Malamar is that its strongest partners (Ultra Necrozma-GX, Necrozma-GX, Mewtwo­-GX, and Marshadow-GX, just to name a handful) aren't going anywhere. The only loss that disproportionately hurts Malamar decks is Float Stone, which provided some specific benefits to this deck alongside Dawn Wings Necrozma-GX's Invasion Ability. Even that loss is partially mitigated by swapping in the previously unnecessary Altar of the Moone, which puts Malamar in a great spot to start the 2019 season. Judge has been legal in the Standard format since it reappeared in XY—BREAKthrough in late 2015, but the more powerful N kept it out of tournaments for the most part. 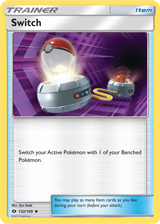 With the card representing Team Plasma's king finally exiting the Standard format, players will likely turn to Judge to disrupt their opponent's hand. Judge isn't an ideal substitute for N. It's a much more perilous way to refresh your hand in the early game, because it restricts both players to drawing four cards instead of six. In the late game, reducing your opponent's hand to just four cards is much weaker than N's potential to drop them to a single card. And of course, the effect of Judge is always symmetrical—unlike N, who often allowed one player to draw a bunch of cards while their opponent just got one or two. But the risk of allowing opponents to build their hands uninhibited is great enough that Judge will still likely make the rounds as the format changes. The humble Switch is perhaps the most basic of cards, still rocking the same effect it had way back in the Base Set. It hasn't made many tournament appearances in recent years because of the ubiquitous Float Stone, but after the rotation, players will need to find a new way to prevent their Active Pokémon from getting stuck with no way back to the Bench—especially in a format full of Guzma. Switch is the obvious choice to replace Float Stone, but look for players to try other cards with similar effects. Escape Rope also received a recent reprint, and the Escape Board Pokémon Tool is sure to earn consideration in decks featuring Pokémon with low Retreat Costs. Many competitors built their 2018 strategies around Brigette to make sure they got their Basic Pokémon into play early. With Brigette rotating out, they'll need to look for new ways to manage their early turns. While the effect of Pokémon Fan Club is most like Brigette's, don't be surprised to see a surge of Lillie instead. Drawing up to eight cards on your first turn doesn't guarantee you'll find one or more Basic Pokémon, but it will give you plenty of resources to get going. 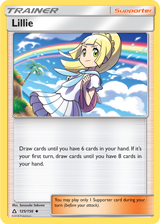 Lillie gets a further leg up on Pokémon Fan Club by staying more relevant throughout the game—drawing cards is rarely a bad thing. Cynthia already appeared in nearly every competitive deck in 2018, but she'll soon be the de facto best Supporter for drawing cards in the Standard format. 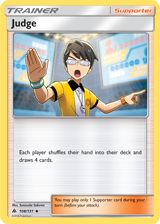 Expect to see plenty of decks that include four copies of this Champion now that Professor Sycamore is leaving, and don't be surprised if the pace of games slows down a bit with fewer card-drawing Supporters available. 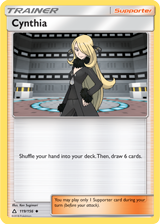 Keep in mind that you shuffle your hand back into your deck when you play Cynthia, rather than discarding your hand as with Professor Sycamore. Decks that gain value from quickly discarding lots of cards will lose more from Cynthia's ascension than those that do not. Just as some cards will be in improved positions after the rotation, others look to be worse off. Don't sell them short, though—they're still strong in the right situations, so they could easily rise again as new cards are introduced throughout the season. 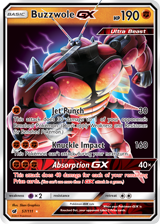 Two powerful Buzzwole cards combined to help create one of the most powerful decks in the 2018 Standard format, but these Ultra Beasts will have a harder time overpowering their foes in the coming season. Many of the cards that enabled Buzzwole's incredible speed and power are rotating out, including Max Elixir, Strong Energy, and Regirock-EX. Buzzwole decks could often take a commanding lead very early in the game—a strong point in their favor—but that advantage may soon be a thing of the past. The problems don't stop there. Buzzwole decks are also losing their main source of card-drawing power with Octillery rotating out. 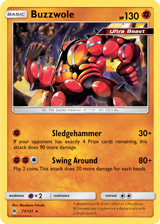 Worse yet, Buzzwole's Weakness to Psychic will be easy to exploit in a format likely to be full of Malamar. But at least players who do decide to stick with Buzzwole won't have to worry about their old nemesis N if they get ahead! The iconic Garbotoxin Garbodor got a powerful teammate last year in the more offensive Trashalanche Garbodor. The newer Garbodor harshly punishes players for playing Item cards—something that was difficult to avoid when trying to dig for a way out of Garbotoxin. Without the archetype-defining Garbotoxin, the more complementary Trashalanche Garbodor is likely to see far less play. 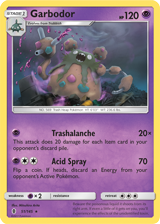 It will be much harder to justify including an entire line of Garbodor and Trubbish in a deck—and with Garbotoxin gone, it might be easier for opponents to play around Trashalanche, too. Zoroark-GX had an incredible debut season in 2018, but losing Puzzle of Time is a major hurdle. 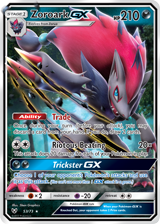 Not only could Zoroark decks easily complete the 2-card Puzzle of Time combination by pairing Mallow with Zoroark-GX's Trade Ability, but the inclusion of Puzzle of Time also reduced the opportunity cost of Trade. Zoroark decks could previously include just one or two copies of critical cards, knowing they could be retrieved from the discard pile with Puzzle of Time. The inclusion of Zoroark-GX on this list doesn't mean it won't still be a major player in the Standard format. It's losing one of its key strengths, but with the Standard format more starved for card-drawing power than ever, that Trade Ability is sure to be popular. It will also gain from Buzzwole's losses—Zoroark-GX's Weakness to Fighting will be much more difficult to exploit. 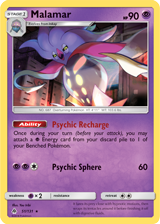 The importance of reactive Trainer cards like Field Blower will always be tied to the strength of the cards they counter. Field Blower was included in almost every deck late in the 2018 season because of the importance of eliminating disruptive cards like Float Stone, Parallel City, and Garbotoxin Garbodor (since it could remove a Pokémon Tool card to “turn off” the Ability). With these three cards leaving the format, Field Blower isn't likely to start out the 2019 season as a crucial card. Field Blower is certainly still useful—removing a Choice Band or a Stadium card is still a fine way to disrupt your opponent—but it doesn't look essential out of the gates. 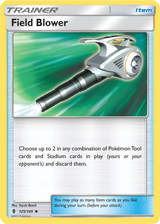 Still, keep Field Blower in mind as new Pokémon Tool and Stadium cards are introduced. The rotation will impact far too many cards to list in a single article, so leaf through your collection and consider which other cards may be worth including in your next deck. Good luck coming up with your own approach to the new Standard format, and remember to check out more Pokémon TCG and video game articles, strategy, and tournament analysis at Pokemon.com/Strategy.